We have a soft spot for metallics and combined with indigo blue it makes us just a little bit excited. 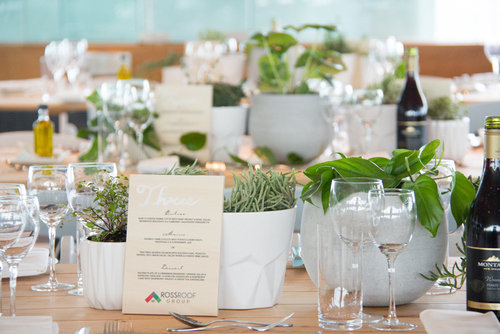 We styled multiple spaces across Ellerslie Racecourse in this gorgeous colour combo. Indigo bowls overflowed with organic styled florals and paired with menus featuring watercolour indigo detailing resulted in an elegant but festive tablescape. One of our highlights of the day were the two feature photo booth walls we created. Beautiful dark wood walls with copper branding and lush floral garlands were the perfect backdrop for racing guests.